Yo — I’m Mr. T. I may not be much of a tough guy, but I still pity the fool that wouldn’t want to adopt me! I’m hanging out with my A-Team of all macho male cats in the Pixie cattery right now, and we get along great. 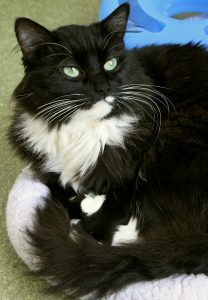 I’m a cool cat who loves to be right in the middle of the action — playing, purring, and pouncing the day away! It’s clear I’m a purrfect match for almost any household, so what are you waiting for? Like B.A. Baracus says, “Love is a verb and verbs show action” — show your love by stopping by The Pixie Project to meet me today! 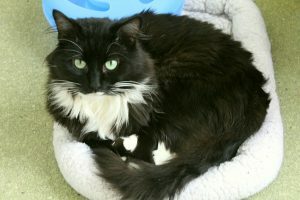 I come to neutered, vaccinated, and micro-chipped for an adoption fee of $100.